You are currently browsing the monthly archive for October 2015. In the microbial world it makes sense to refine the standard taxonomy by subdividing species into strains. An important reason to do so is that bacterial taxonomy must reflect not only phylogeny but also pathogenicity, and small differences in genomes can translate to large pathogenic differences. This has implications for metagenomic analyses of microbial communities: for many biomedical applications it is desirable to characterize individuals strains. Metagenomics has its roots in culture-independent retrieval and sequencing of 16S rRNA genes, and while variations in 16S can sometimes distinguish between strains, a single gene is not always sufficient. This limitation of 16S can be overcome with whole genome shotgun sequencing of microbial communities, an approach to metagenomics that became popular in the early 2000s and that opened the door to higher resolution characterization of communities. In 2005 Kevin Chen and I wrote a review on the bioinformatics challenges that would have to be overcome to walk through the door. One of the things we did was to emphasize “problems and their connections to other areas of bioinformatics, such as… gene expression analysis”, and throughout the past decade I’ve always hoped for deeper connections to be established between metagenomics and gene expression bioinformatics. I’ve noticed interesting connections pop up from time to time (e.g. Paulson et al. 2013) and have occasionally entertained the thought with my students and collaborators, especially as work in my group became more focused on RNA-Seq since the development of Cufflinks in 2008. However connection modern transcriptome analysis methodology, specifically bioinformatics of RNA-Seq to metagenomics has been difficult to do until recently. One major reason is that until just a few years ago, there was no reference genome database for metagenomics analogous to the reference annotation databases available for use in transcriptomics. Another way to put this is that metagenomics has, until recently, been “de novo” bioinformatics. By this I mean that the analysis of communities from whole genome shotgun data had to largely proceed via de novo analyses of the data (e.g. de novo assembly of genomes), “binning” of reads according to sequence characteristics or hits to gene databases was required because it was impossible to compare sequences to references genomes. While de novo methods have also been developed for RNA-Seq, the scale of transcriptome analysis is much smaller than that of most metagenomic analyses, and as has been well documented, de novo transcriptomics is already very difficult (e.g. Amin et al. 2014). This observation is reflected in the recent development of many methods for a variety of metagenomic applications that take advantage of reference genome databases. Specifically, the problem of read assignment, which is fundamental for abundance estimation, has benefited from the possibility of metagenomic read alignment to reference databases. The problem these methods are solving is really similar to the problem of read assignment in RNA-Seq. In RNA-Seq, instead of originating from strains, reads originate from transcripts. Just as strains are present in different abundances in a community, so are RNA transcripts in a cell (or in bulk). The analogy of taxonomy in metagenomics, i.e. 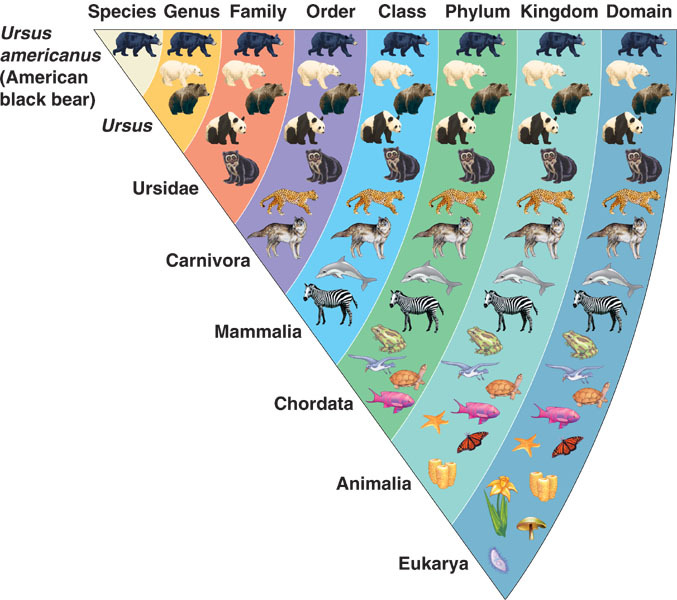 the grouping of strains into species, genus etc. is also present in RNA-Seq, where transcripts are grouped into genes. The fragment (or read) assignment problem in RNA-Seq is closely related to the quantification problem in RNA-Seq and is a problem that has been thoroughly researched and for which many algorithms have been developed. I discussed the importance of the fragment assignment problem for RNA-Seq in my 2013 Genome Informatics Keynote. In response to the development of reference-based bioinformatics possibilities for metagenomics, about three years ago my student Lorian Schaeffer started looking at the suitability of RNA-Seq tools for metagenomic read assignment. Although the metagenomic and RNA-Seq assignment problems are conceptually similar and methodologically related, there are various technical issues involved in applying RNA-Seq tools in the metagenomic setting (e.g. the need to carefully account for taxonomy in the metagenomics setting). After developing the computational infrastructure to benchmark RNA-Seq programs in the metagenomic setting, she proceeded to evaluate the accuracy of eXpress, a streaming algorithm for RNA-Seq quantification. Although the quantification of eXpress was specifically designed to be suitable for large numbers of reads, the program requires read alignments to a reference transcriptome (or in Lorian’s experiments a genome) database. In the metagenomic setting realistic databases are huge, and she found that it took days just to map the reads. Nevertheless, her initial benchmarks revealed that eXpress was significantly more accurate than the available metagenomic read assignment tools of the time. Lorian Schaeffer, Harold Pimentel, Nicolas Bray, Páll Melsted and Lior Pachter, Pseudoalignment for metagenomic read assignment, arXiv 1510.07371, 2015. Using a published simulated Illumina dataset from Mende et al. 2012 (based on 100 genomes and containing 53.33 million reads), and augmenting it with another 2,308 genomes for the purpose of testing, she shows that kallisto significantly outperforms the best quantification methods (as benchmarked by Lindgreen et al., see figure above). “Significant” here refers to what I think is fair to characterize as an extraordinary improvement: at the genus level, a level that programs such as CLARK have been optimized for, kallisto’s RRMSE (relative root mean squared error) is 0.13 compared to 17.05 for Kraken and 18.58 for CLARK. The improvement is based on two ideas: first, the results show that the model based approach for read assignment, the concept that underlies GASiC and eXpress, outperforms direct taxonomic read assignment as implemented by MEGAN and Kraken and CLARK (in the latter approach reads are aligned to the lowest rank to which they align unambigously). Second, pseudoalignment is not just faster than traditional alignment but also accurate. The upshot: the accuracy and efficiency of kallisto make strain level analysis of metagenomes possible. In fact kallisto is more accurate at the strain level than other programs are at the genus level. Just as we have been advocating for transcript level analysis from RNA-Seq data, we believe that strain level analysis should become commonplace in metagenomics. Yu-Wei Wu and Yuzhen Ye, A novel abundance-based algorithm for binning metagenomic sequences using l-tuples, Journal of Computational Biology 2011.
benchmarked their method on simulations of reads from 2 (two!!) organisms. Biologists frequently complain that simulations of bioinformaticians are completely non-informative and unfortunately these cases provide fodder for such prejudice. Having said that, the RNA-Seq community also has much to learn from the metagenomics community. The previously mentioned paper by Paulson et al. 2013 addresses missing data in a way that should translate directly to missing data in single-cell RNA-Seq (the paper also makes performance comparisons with their comparative metagenomics approach to the RNA-Seq programs DESeq and edgeR) . One paper (McDavid et al. 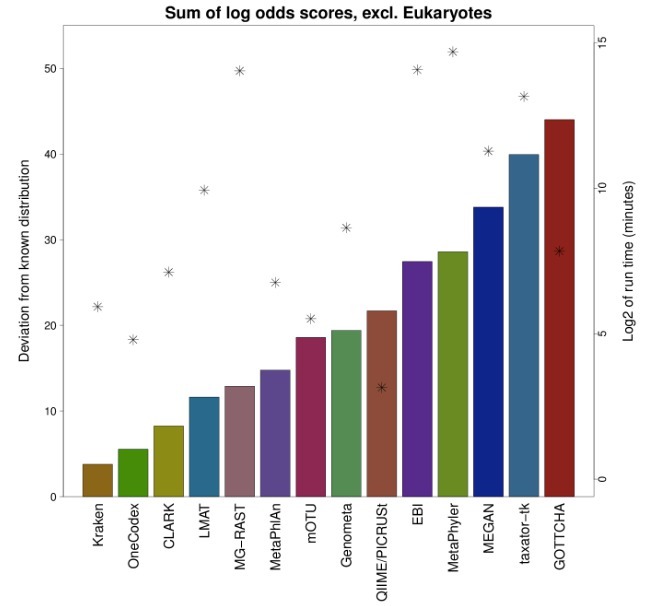 2012) does take a look at modeling single-cell data with zero inflated distributions but I think this is a good example where metagenomics is ahead of RNA-Seq. Our immediate plans are to develop the kallisto application to metagenomics to include the ability to perform metagenome comparisons using sleuth. Conversely, inspired by the taxonomy hierarchy fundamental to metagenomics we’re going to explore RNA-Seq quantification with groups of transcripts that go beyond just genes.